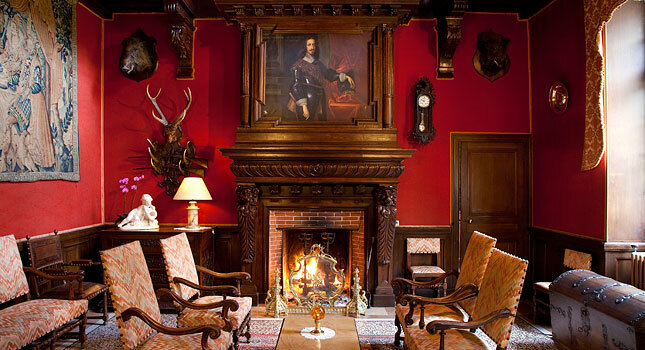 Château de Rigny*** is equidistant between the two major regional capitals of Dijon (Burgundy) and Besançon (Franche-Comté), and boasts 28 rooms in three buildings, a restaurant, private rooms and seminar rooms. It provides an ideal location all year round to explore these two historically rich regions, their outstanding monuments and varied countryside. The Château is located on the banks of the River Saône and looks out over five hectares of magnificent English-style parkland – the ideal spot if you are looking for rest and relaxation. Château de Rigny is the ideal setting off point for exploring the cities of Dijon, Beaune and Besançon. Discover the traditions and specialities of Burgundy and Franche-Comté. There are numerous tourist excursions and activities in these historically rich regions with their wealth of heritage. Forfait 1 nuit (valable le Samedi 11 février et le Mardi 14 février 2012). Incluant la chambre pour 1 nuit, 1/2 bouteille de Champagne dans la chambre, le dîner aux chandelles en 4services hors boissons, le petit-déjeuner buffet.